Rally Racing News Leader in the USA | Rally World News Rally World News: 500 horsepower, four wheel drive, one crazy driver and you! 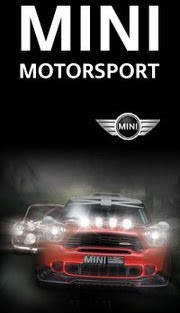 500 horsepower, four wheel drive, one crazy driver and you! 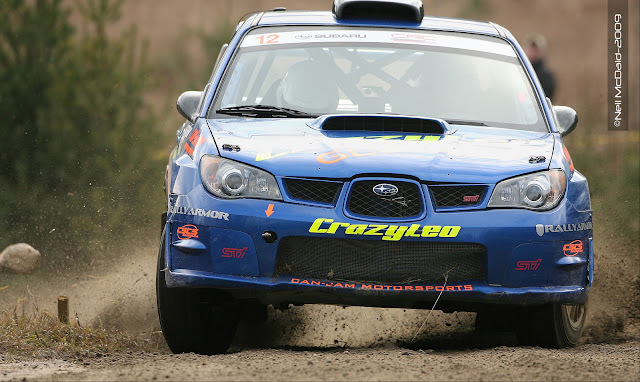 To celebrate the 40th Edition of one of Canada’s toughest rallies, CrazyLeo and Can-Jam Motorsports are partnering with the Rally of the Tall Pines to offer you one of two coveted rides in CrazyLeo’s purpose-built Open Class Subaru WRX STi rally car. The STi is one of Canadian Rally Championships fastest cars and is piloted by the series’ rising star, CrazyLeo. Complete with an FIA roll cage, custom high compression engine, racing dog-box transmission and Reiger suspension this is a once in a lifetime chance to get a taste of what rallying is all about. With you riding in the co-drivers seat, CrazyLeo will pilot “The Best” down a section of road which will be used in that weekends rally. This section features a big jump, a long straight to test your nerves at top speed, and countless blind corners that will leave you breathless as you grab the roll cage praying for your life! The lucky winners will also get a copy of the in car video footage of the ride, a professional photo shoot with CrazyLeo and his rally car, 2 Tall Pines T-shirts, as well as a chance to watch the CrazyLeo rally team in action in the service park. This will all take place during the Rally of the Tall Pines shakedown, on Friday, November 19th, at 6 PM. Two separate rides are being auctioned on Ebay with all proceeds going to the “Bancroft Sled Dog Races” (promoting sports, physical fitness, and healthy lifestyles for local kids and families). Both charity auctions are already underway so be sure to get your bid in before it’s too late. The first auction can be found here and ends on Tuesday, November 16th. The second auction can be found here and ends on Wednesday, November 17th. This is it, feel the adrenaline, prove you have the guts!